IBM has released the latest results from its long-running employee engagement survey, revealing the key trends which are shaping Kiwi workplaces. Now in its 18th year, the IBM Best Workplaces Survey found that employee well-being, career mobility and attitudes towards continuous listening were most apparent in this year’s data. Health and safety is one of the highest-rated areas in the survey, with 87 per cent of employees reporting that their organisation shows commitment to the health and safety of its people. “This is not surprising given the new health and safety legislation,” said Emma Martin, a talent management solutions consultant with IBM. The data also suggests there is a holistic emphasis on wellness as the belief that Kiwi organisations care for the well-being of their people has increased significantly, from 72 per cent in 2010 to 82 per cent in 2017 – one of the biggest increases in survey results over this period. Globally, IBM’s research shows that 74 per cent of high potential employees will consider joining another organisation for better career development. “Talent retention is becoming a greater challenge for Kiwi organisations due to a climate of constant change, greater external career mobility and the rise of the ‘gig’ economy,” said Martin. Data from the last seven years shows improved employee perception of learning and career development opportunities in their organisation, increasing six and seven percentage points respectively between 2010 and 2017. “This suggests that Kiwi organisations are increasingly focused on growing skills and talent from within,” said Martin. 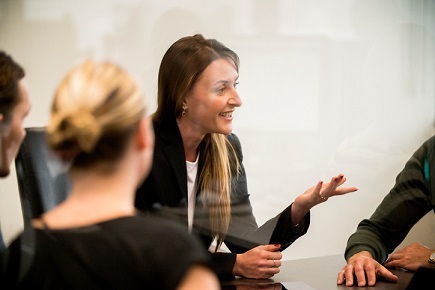 More employers now understand the importance of continuous listening and are finding ways to support an ongoing dialogue between management and staff, allowing executives to hear what people on the front line experience in their daily work-lives so they can make informed decisions and course corrections while steering the organisation. “Organisations are getting better at listening to their employees, but still need to do more to close the feedback loop and drive meaningful change, something which is critical to building credibility in the minds of employees,” said Martin.